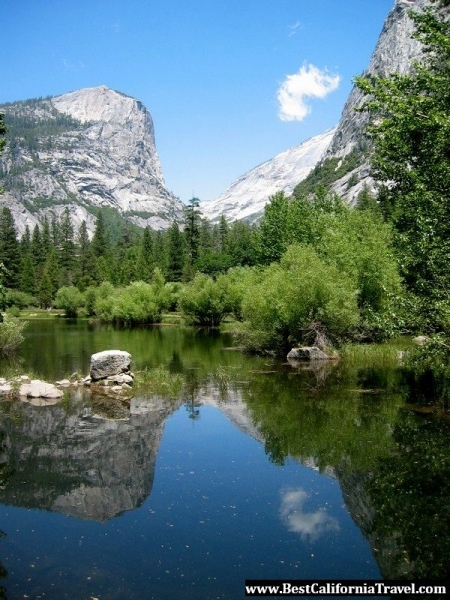 Spring and the beginning of summer is the best time to see Mirror Lake. Otherwise, you might be wondering why they call it Mirror Lake, and why is this trail so popular. In the spring and summer, Mirror Lake is exactly what its name suggests: a mirror. A perfect mirror I might add. If there is enough water in the lake, you can clearly see the surrounding mountain peaks reflected in the water. 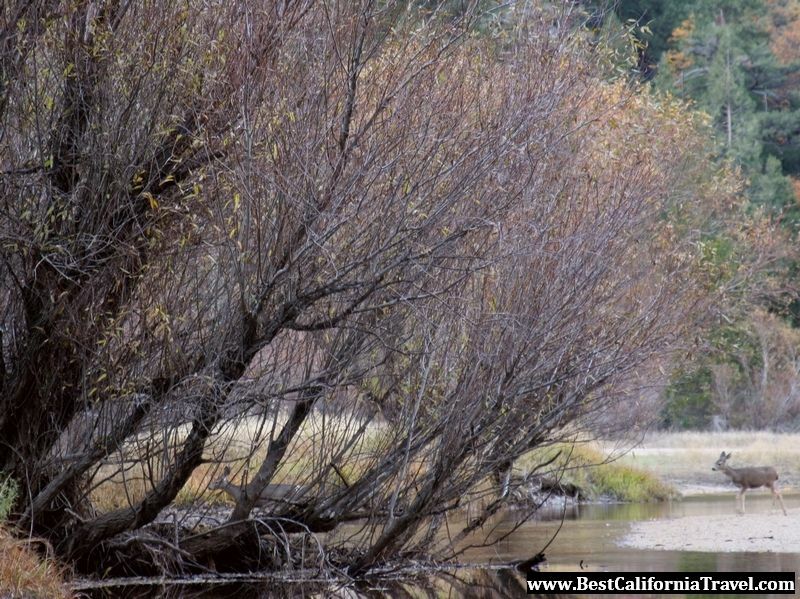 I have visited Yosemite in mid November and I was surprised to find only a little stream instead of the beautiful Mirror Lake. What happened? Well, it’s simple ! Not enough water. 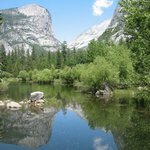 However, come spring and with all the snow melting and feeding the Yosemite falls, Mirror Lake will become again the perfect and beautiful mirror. Deer crossing the little stream that becomes Mirror Lake in early spring. 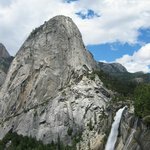 How easy is the Mirror Lake trail in Yosemite? It’s probably the easiest trail from Yosemite. If all you want to do is to stop at Mirror Lake then this is probably comparable with the easiest hikes you have ever done. This trail is paved and wide and you will find lots of people on it. This is a great trail for small children as well because it’s short and it has lots of things to draw their attention. I love this trail in the spring !